Advanced technology, unmatched safety, and great fuel efficiency are just a few examples of how the all new Chevrolet Colorado is reinventing the midsize pickup. 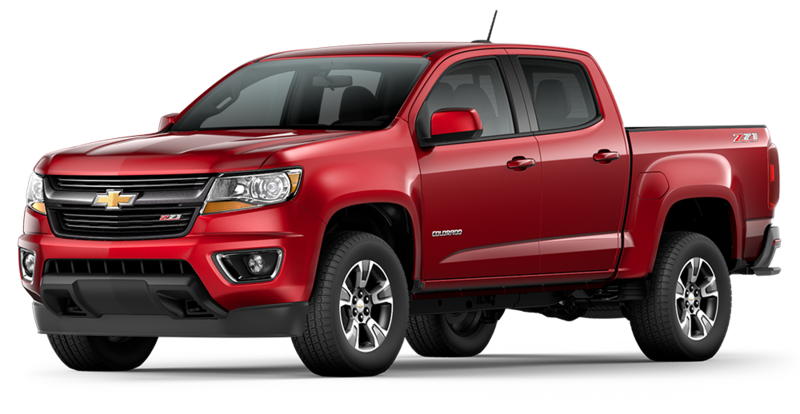 The available 3.6L V6 engine offers EPA-estimated 26MPG highway fuel economy which make the new Colorado best in class. The Chevy Colorado does not cut corners in safety featuring advanced safety features like Forward Collision Alert and Lane Departure Warning.The color touch radio and available 4G-LTE Wi-fi make the Chevy Colorado one smart small truck. For more info on the new Chevy Colorado click here. 2017 Motor Trend Truck of the Year. Best in class fuel efficiency. Available best in class towing and payload. 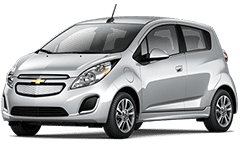 *All leases: $1999 cash or trade down, includes lease conquest rebate, 24 months, 10K miles/y. Title, acq., reg. doc. additional. Extra charges may apply at lease end. Call for details. Residency restrictions apply. Stock #C62740. See dealer for details. By submitting you agree to our terms and conditions . $299 documentation fee not included in final price. $20 per $1,000 borrowed. Security deposit not required. Subject to program change without notice. Sale ends 04-30-2019.